The most widespread antisemitic stereotype among the native Austrian population, with which 39% agree, is that “Jews dominate the international business world.” Among Turkish speakers that percentage is 63% and amongst Arab speakers 64%. Thirty-one percent of native Austrians agree with the statement: “The power and influence of Jews increasingly appears in the international press and politics.” Among Arab speakers 54% agree and among Turkish speakers 62%. Another question asked was whether interviewees agreed with the statement: “Due to Israel's politics, I can understand why one has something against Jews.” Twenty-nine percent of native Austrians agreed. Among Turkish speakers the figure was 57% and among Arab speakers 63%. Yet another statement submitted to the interviewees was: “Israelis treat the Palestinians fundamentally no different than the Germans treated the Jews in the Second World War.” Thirty four percent of Austrians agreed, as did 65% of Turkish speakers and 76% of Arab speakers. These answers show that Holocaust inversion – comparing Jews to Nazis -- is huge in Austria, which is more or less similar to a number of other European countries. The difference between native Austrians and Muslim immigrants is even bigger concerning the statement: “When Israel no longer exists peace will reign in the Middle East.” Eleven percent of Austrians agree. Among Turkish speakers, 51% percent agreed with this statement and among Arab speakers, 69%. One of the most extreme statements put to the interviewees was “One cannot expect a Jew to be decent.” Eight percent of Austrians agreed. Yet 21% of Arab speakers and 34% of Turkish speakers agreed. 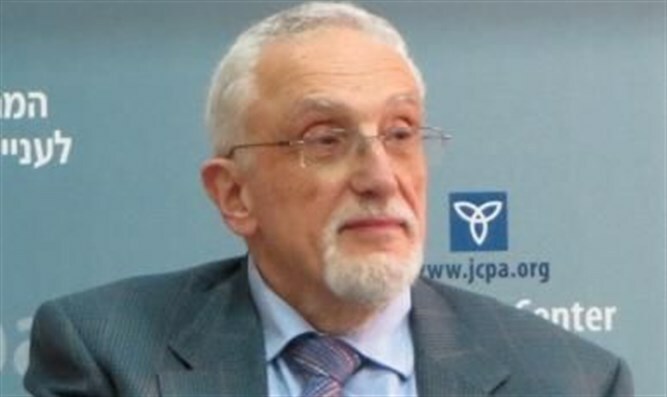 Whether Jews should be blamed for antisemitism was formulated as follows: “Jews have little interest in integrating into the country they live in. That is the main reason for their continuous problems.” Nineteen percent of Austrians agreed, 47% of Turkish speakers agreed and so did 50% of Arab speakers. A second statement along the same lines was: “It is not only accidental that Jews have been persecuted so much throughout history; it is at least partly their own fault.” Nineteen percent of Austrians, 40% of Arab speakers and 50% of Turkish speakers agreed. The most long-lasting pervasive and oldest antisemitic lie concerns religious antisemitism. 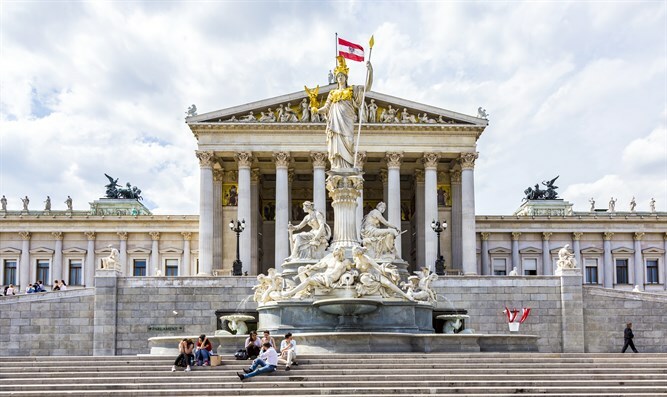 Thirteen percent of Austrians agreed with the statement that “Jews are responsible for the death of Jesus Christ.” Even here there was more agreement with this statement among Muslims living in Austria. Twenty-eight percent of Turks agreed and 17% of Arabs. The following statement concerning Holocaust distortion was submitted to those polled: “In the reports about concentration camps and the persecution of Jews in the Second World War, much is presented in an exaggerated way.” Ten percent of Austrians agree with this statement. Forty-one percent of Turkish speakers and 35% of the Arab speakers agreed. The study also asked: "Which people would you not like to have as your neighbors?" Nine percent of Austrian natives responded that they would not like to have Jews as their neighbors. Concerning homosexuals the percentage was ten percent. Thirty-one percent said that they would not like to have Black Africans as their neighbors. Thirty-seven percent said the same about Roma and Sinti. The highest percentage, 41% concerned Afghans. Amongst Turks, the relative percentages were very different. Twenty-three percent are disturbed by homosexuals as neighbors and 14% by Afghans. Jews and Syrians followed at 13%. Amongst Arab speakers the percentage of those who did not want homosexuals as neighbors is even higher at 34%. Jews are undesirable neighbors for 21% and Afghans for 19% of Arab speakers. The interpretation of this last statement is often misleading. For a long time there were claims that the relatively low percentage of natives who don't want Jews as neighbors is an indication of the declining antisemitism in Europe. Those who said so did not realize that antisemitism has mutated. As the above comparison of Israelis and Nazis indicates, anti-Israelism is now the dominant form of antisemitism. The study also asked how interviewees view the security of Jews living in Austria with regard to danger from various groups. Among Austrian natives 63% answered that danger came from right-wing extremists, 52% said from international terrorism, 41% from Muslims and 28% from refugees. It should be noted that the last three categories greatly overlap. Left-wing extremists followed with 22% and Christians polled at 8%. A much lower percentage of Turkish speakers consider that Jews are in much danger. Fifteen percent consider the two most dangerous groups for Jews are right-wing extremists and Christians. These are followed by Muslims at 11%, international terrorism at 7% and left-wing extremists and refugees at 6%. Forty-three percent of Arab speakers consider that Christians are the greatest threat to the security of Jews, 38% consider the same for right wing extremists and 23% of Muslims. For many years there were hardly any statistically representative studies concerning antisemitism in Europe. That was convenient for governments. As more and more quantitative data is becoming available the sorry state of Europe concerning Jews and the size of the stereotypes existing becomes more evident. This includes the now apparent fact that antisemitism among Muslim immigrants and their descendants is much more of a problem than among the native population.